In our modern society we are surrounded by noise. Sometimes the noise is near us, but most of the time it is there in the background. As I sit here I can hear the hum of the laptop and the tapping of the keys. At night as I lie awake in my terraced house I can sometimes hear the murmurs of neighbours down the road and the occasional car. In the shopping centre the piped music constantly drums us into the mood that retailers want, so they hope. But at times and places the noise level can drop to almost nothing, and these moments are very precious to us, for they are powerful and rare. Magnum Silentium! 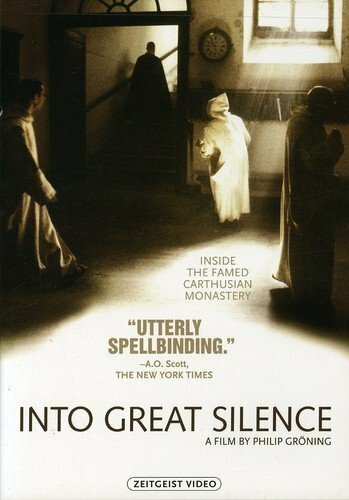 The Great Silence.This is the rule in most Catholic religious institutions. You might have heard of the Trappist monks, who keep strict silence as part of their way of life, but they are few in number and enclosed. Most Catholic religious do not keep this extreme rule. But at night after Compline, the night time prayer of the church, the religious institution falls silent. None is allowed to socialize after hours. There must be no music played or radios on. Silence reigns until breakfast next day, during which time the members of the institution must use the silence for sleep or reflective thought. What frustrated me when I was a member of such an institution was the background noise of the city. We were in London, and the city never sleeps. At that time Heathrow Airport had night flights, and the drone of the Great West Road carried on throughout the night. I craved silence for rest and thought, and while the students were silent [mostly] society was not, and I was glad to move on. I moved to another college in County Cavan, Eire. This was a dream location. While we were near the road from Cavan to Sligo, sandwiched betwixt Upper Lough MacNean, the woods and the hills, you had the silence that you needed. We studied philosophy and Scripture, mainly, and it was always possible to walk down to the lake shore and relax with your philosophical reflections. It was not total silence, but at times it came near to it. The noise of nature is, if not too intense, not inimical to silence. The lapping of the freshwater waves on the small, sandy beach played in accompaniment to the vast silence of nature. The occasional hum of a distant tractor [this was rural Ireland after all] barely disturbed the peace. This is the strange thing about silence. In the vastness of nature small sounds are set against against the background of a greater silence. It is as if there is an orchestra of which silence is a key player. It provides the background in which other sounds, some of them very beautiful, can be heard and appreciated. It is this background silence that enables you to appreciate the music of nature. Each stream and waterfall has its own music, a unique sequence of sounds, but it is often little more than a whisper in a noisy world.But background silence enables you to focus and appreciate. It might sound strange, but you can hear silence. I realized this the first time that I experienced total silence, at the age of 23 atop a Welsh peak. 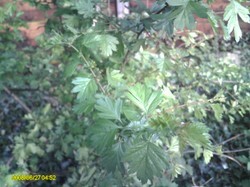 For a few moments one lovely July day I sat in total silence taking in nature in all its beauty. I became aware that I was hearing silence. This is not akin to hearing background noise, but is more like Buddhist mindfulness, a state in which you hearken to the external level of sound. Knowing that there is no sound at all is just as much a hearkening state as hearing noise is. You are in the midst of an ocean of silence, even if it is for but a few moments. But in experiences like this your mindfulness becomes a state of hypersensitivity. Every sense becomes attuned to the spiritual present in nature, which is diaphanous to another level of reality, the divine, mother nature, call it what you will. But the silence can be a double edged sword. For some it is an inspiration, for others a terror. It all depends upon what is in your soul.If you are used to introspection and have a reflective mind, the silence will be a boon to you and you will thrive. If what is in your soul is good thoughts, then silence will affirm you; but if your spirit is a pit of negativity, you will want to flee from the silence, as it confronts you with yourself, and you don't like what you "see". The terror of silence is a response not to what is outside but to what is inside. The retreat into noise is an escape into externality away from a genuine looking inward to cultivate the spirit. The essential relationship between silence and mindfulness must be emphasized. Mindfulness is a Buddhist concept, the seventh step in the eightfold path, but it is a practice that is not alien to Christianity. Keeping yourself in a state of alertness is what mindfulness is about, but it is always easier to do this when you are not being constantly distracted by external noises. Once you have attained mindfulness you can attend to the condition of your spirit and this enables you to foster the spiritual life. The link between silence and spirituality leads monastics to attempt to cultivate the inner silence, the quiet soul free of turbulence. Thus there is a link between silence and tranquility. Outer tranquility is a condition that needs to be internalized. As the outside world falls silent and calm, so the inner world becomes calmed as well. As inner calmness is established the personality acquires more control and is less prone to temper, anger and undesirable thoughts. The trouble is that getting to this condition is not a sweet and easy path, it can be challenging, for in the silence we meet the side of ourselves that we do not like, the cellar of the mind in which we keep and brew our nasty thoughts and desires. We often want to run from it. Silence is taken further by the desert experience. 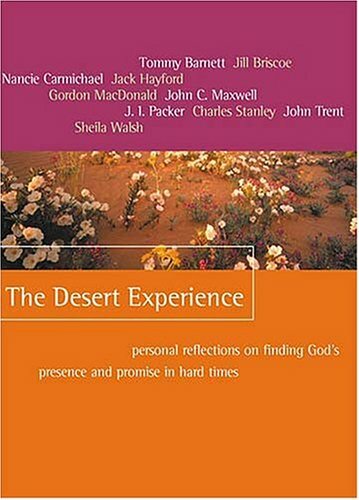 It is significant that in the Judaeo-Christian tradition spiritual experiences have occurred in desert conditions. 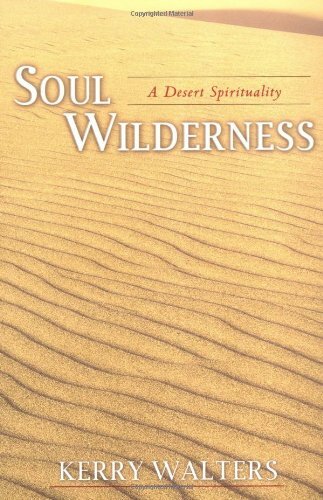 Wilderness seems to be a place of spiritual experience. Jesus, for example, spent what is said to have been forty days in the desert. I suspect that he was in the caves above the Dead Sea, which were used by Jews as a place of retreat. There Jesus confronts Satan. Religious thinkers disagree about this. Some think that there was an encounter with a real Satan, whereas others see the experience as reflective of a struggle going on in Jesus' soul, of which Satan is a symbol. I leave the decision on this to your own judgment. But what matters is that in the silence Jesus was victorious over evil and came out empowered for his mission to confront evil wherever he found it. He had to be victorious over the temptations to evil that lay deep in himself before he could challenge evil in the world, and in the silence of the desert caves he brought the struggle to a victorious conclusion. The deliberate seeking of wilderness was taken up by the Desert Fathers, religious ascetics in Egypt who sought out a state of sensory deprivation to cultivate the spirit. Not only was the desert quiet, but it was short of visual attractions, for their aim was to focus on the spiritual at the expense of the temporal. Silence was in them only part of the broader experience of self-denial. Their mantle was taken up by Irish monks, who sought out remote islands as their personal deserts. free of the distracting noise of humans to seek God. In our time the late Thomas Merton, a Cistercian monk and spiritual writer, who was tragically killed in an accident with a faulty electrical fan, wrote critically of Las Vegas, for he saw the desert as a place not for gambling and frivolity but for the spiritual regeneration,where humans could go to encounter God in silence. This desert gambling location was for Merton the antithesis of what the desert was for. We need a balance of sound and silence. Note that I do not say noise, for noise is disordered and destructive, there is no harmony to it. It is notable that in Catholic monasteries there is a regime of silence and singing. For all the hours spent in the great silence of the night and in quiet meditation and contemplation, there are the hours of song. Seven canonical rituals make up the divine office, which is sung throughout the day. This is beautiful sound to match beautiful silence. The blend of silence and sound is empowering to the mental and spiritual life. But what can society do? You cannot control silence, but there must be quiet places. The country can be very quiet at times, but we need quiet, silent places in the heart of our cities. Only churches currently provide this service, but people of all faiths need to be able to feel welcome to come and sit silently and think. When shopping in Manchester, invariably for books, I stop in to St Anne's, Church of England church in St Anne's Square, for some quiet prayer. It is an oasis of quiet in the city noise. We need to preserve wilderness places, keeping some whole areas of mountain and forest for quiet walking and reflection. The deep silence of many forests is inspiring, and we need to ensure that they remain. Government's need to care for their people's health. Physical health is obviously part of their role, but also mental and spiritual health is vital for a sane and stable society. We don't need governments telling us what to do, but merely providing the spaces in which we can do it, giving people the space, time and conditions in which to relax and think. Society will be the better for it. Lindylou, your post moves me, for I have been able to enjoy silence, and I now realize how privileged I am. You have made me think about silence and it strikes me that even if we have no external silence we can have inner silence. We can still our emotions and be internally at peace. This was a beautiful response, Shradda, obviously you have had the experience of silence and it has stayed with you and been fruitful in your life. It was strange, but when I was reading your response it brought back to me the joy of the moments of intense silence that I have experienced. Only good writing flowing from the heart can do this. You are absolutely right about the world underneath found in silence. I love peace and silence. It is of utmost importance when I meditate. Vipassana meditation requires complete silence - this is also called "Noble Silence". It is extremely important to silence the body otherwise it is impossible to observe the mind and its manifestations. I have found that I can think and contemplate better if the background noises are not there. However; man-made noises are too distractive. There is always the noise of vehicles, loudspeakers and noisy neighbours. I also like silence because I can hear the chirping of birds, squirrel, waterfall - the sound of Nature. I remember visiting once a deserted forest land in Tamil Nadu in India, there was absolutely no sound. We (tourists) were asked to keep silence so that the peace in the jungle would not get disturbed. It was amazing; you could hear the "sound of the silence", it was pin drop silence in real sense. I have never heard that "absolute silence" anywhere else. Your article on "Silence" is very creative. There is a connection with silence and spirituality. Unless you silence the surroundings, you cannot silence yourself. Once you are silent, you find a world underneath which is ready to be explored and experienced within yourself. Mira, the music of the waters is, as you imply, best appreciated against background silence. It is only then that you can sense not only the main music, but also the subtle sounds that we often miss. Thanks Katie, for the information about Doctor Dyer. In Britain there have been some areas identified as being especially quiet. Apparently, England's quietest place is a moor up in Northumberland, just south of the Scottish border. You make a great point about background silence, about silence as the backdrop for other sounds in nature. I recently went to the Black Sea coast and stood at the edge of the water for a long time listening to the waves breaking on the shore. I so love that sound! And you can only appreciate it because of the silence, especially as the beach was mostly empty. Oh my what a great read. Silence is one of my favorite things. I love getting into the depths of silence it is where I get my answers, my guidance, my renewal and my healing. I love to be alone as silence is a good friend. I have grown so close to silence I long for it daily. You have got to read and enjoy getting into the gap. Have you experience Dr. Dyers work? He produced getting in the gap. 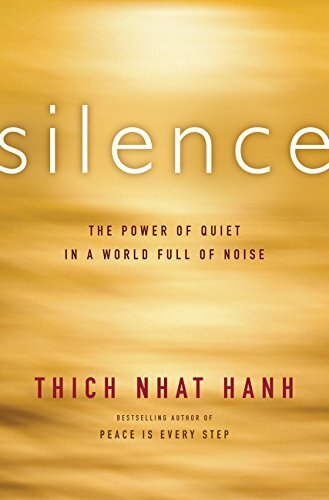 It is something I am sure you will appreciate as would anyone trying to learn about silence or learning how to finding it. I feel it is a serious issue for our society there is simply a great abundance of noise more so than peaceable. Silence is a must, a need a requirement of every living breathing being. Here is the asin # B0091QWQJC Enjoy! This is so beautifully written, Frank. I appreciate the silence and the stillness where we find ourselves before the divine presence. Natural sounds are soothing. I can listen to waves for hours.